imagesthai.com royalty-free stock images ,photos, illustrations, music and vectors - Portrait of young attractive woman standing in morning sunlight close to sea or ocean. Beautiful lady with short brunette hair and long earrings. 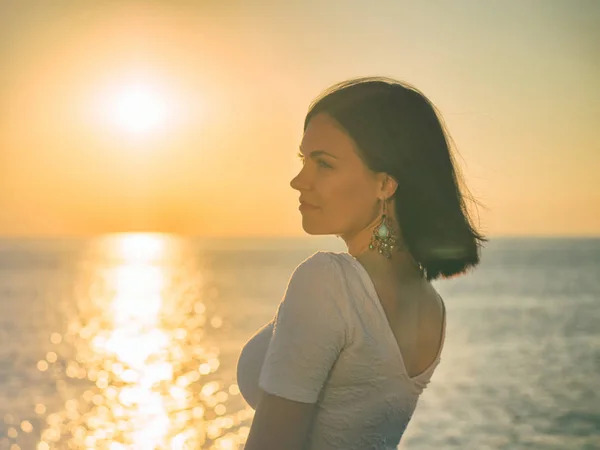 Portrait of young attractive woman standing in morning sunlight close to sea or ocean. Beautiful lady with short brunette hair and long earrings. XL 5048 x 3786px 15 Mb.